“Every year it is a wonderful challenge for us to vary the programme for Westport’s by now well-established Festival of Chamber Music. Last year for instance, we introduced an exclusively string quartet concert for the first time. This year we introduce a classic song-cycle from the German repertoire; and in a contemporary American song-cycle on poems by Yeats; we shall have seven musicians collaborating onstage, another first. We are delighted to welcome Catherine and Hugh as well as the lovely people at Classic Links and the local organising commitee to Westport House. 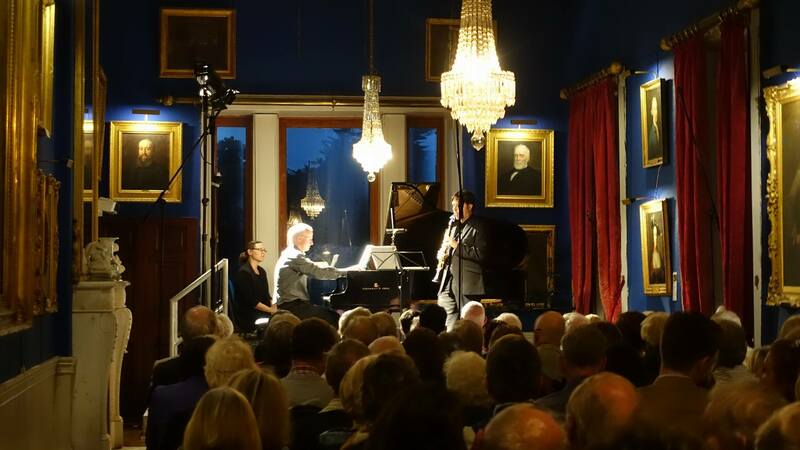 Yet again, the Friday night programme is an exciting one and is set in the stunning setting of the Long Gallery of Westport House. It is always a popular event and sells out in advance, so don’t delay. Be sure to pick up your tickets.